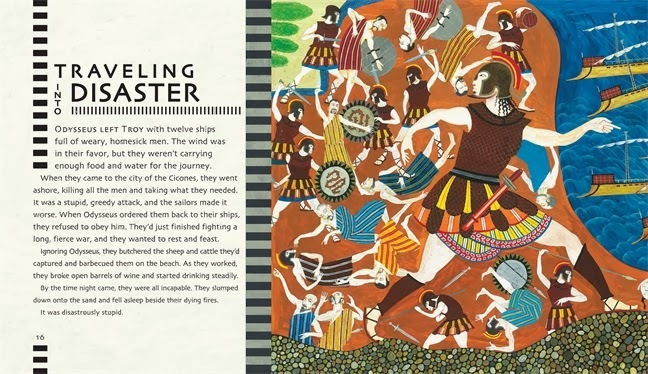 The Odyssey, adapted by Gillian Cross and stunningly illustrated by Neil Packer is the book that finally prompted me to begin my own odyssey, attempting to read as many quality children's adaptations of Homer's classic as I could find. Published at the tail end of 2012, Packer's illustrations are so full of movement and narrative that I am tempted to let them speak for themselves and end my review here. 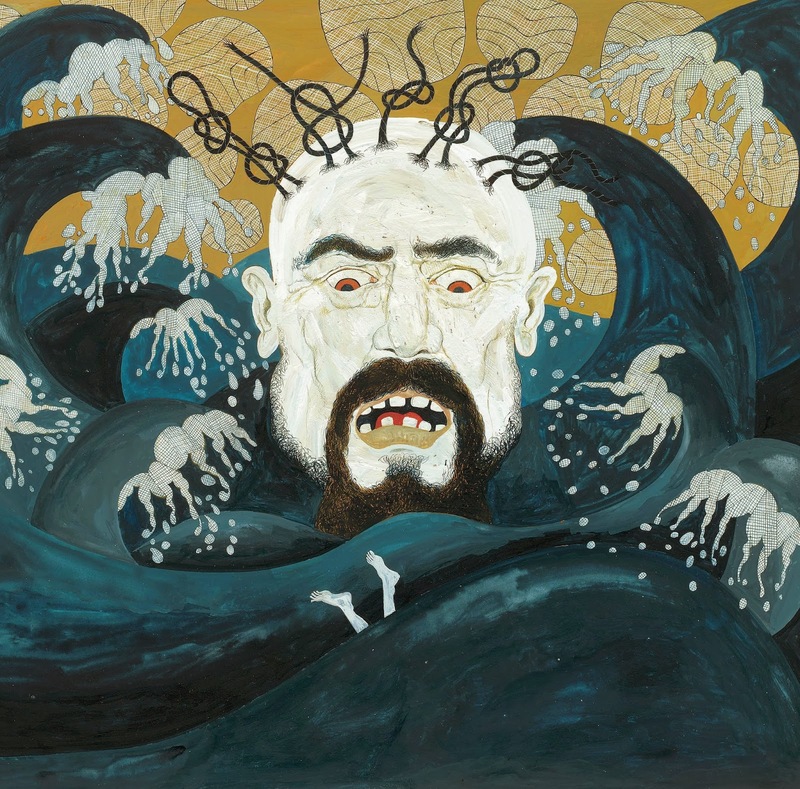 However, reading and listening to the original as well as adaptations has made me think about this ancient story and the many facets of storytelling in a larger sense. In fact, in September of 2012, Cross and Packer's adaptation of The Odyssey was the focus of a story on NPR called Put Down Your E-Reader: This Book is Better in Print. In the story, Lynn Neary talks to Karen Lotz, the president and publisher of Candlewick Press, the publisher of The Odyssey, about the process of bringing a book to print and the decisions involved from format - digital, physical or both, and beyond. As Lotz says, if a book acquired by Candlewick Press is "going to insist on being physical, it means it's going to be lavish, beautiful, tactile, something to linger over." The Odyssey, as well as every other physical book that Candlewick publishes, is exactly that. Everything from the texture of the pages and their thickness, the heft of the book in your hands, the vividness of the illustrations and the image on the cover under the dust jacket are presented in a way that you notice when you hold The Odyssey in your hands. And, while it's interesting to think about a story that admonishes readers to hold the physical edition Packer and Cross's version of The Odyssey in your hands and read it, rather than swipe through it on a digital device, it's worth taking a moment to remember that, more than 3,000 years ago, the Odyssey began as a story that was sung or chanted from memory by poets who used phrases like the "wine dark sea" and the "rosy dawn" as markers to help them remember their place in this epic tale. Cross shares a fantastic historical perspective in her author's note at the end of the book titled, "The Mystery of Homer." Besides providing a context for the story, Cross lets readers know why this version of the Odyssey that we attribute to Homer is such a marvel that has remained relevant and entertaining over time. 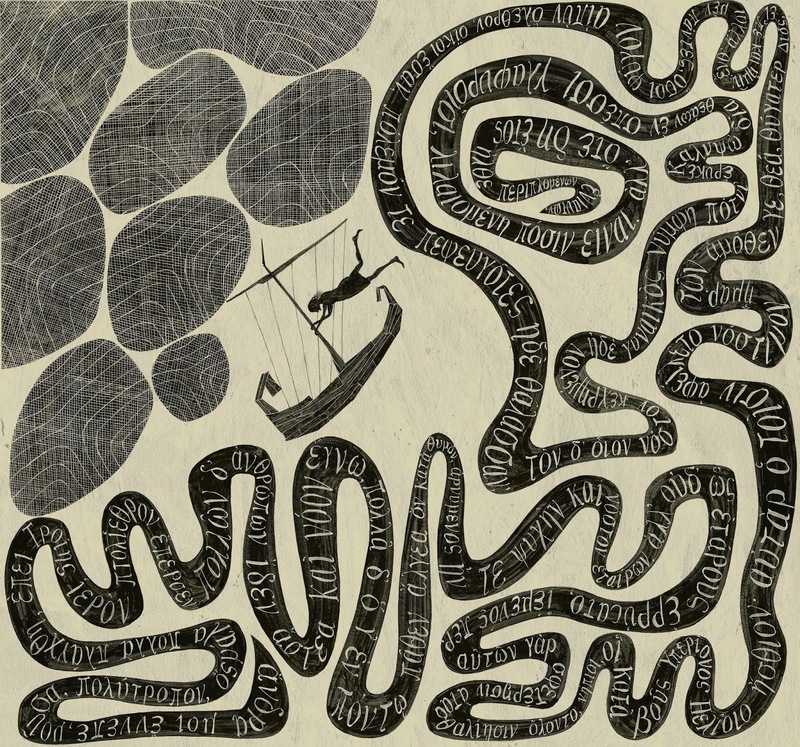 Cross writes that the Odyssey itself is not just a collection of linked tales, the "stories are wound together so skillfully that they become a single narrative. And there are three strands of suspense that run all the way through. Will Telemachus dodge the suitor's ambush and get back home safely? Will Penelope manage to fend off the suitors until her husband returns? Will Odysseus get back to Ithaca and be reunited with his wife?" Cross goes on to point out that, despite the aspects of Ancient Greek culture that seem strange to us now, Homer presents Odysseus's adventures in a way that makes it easy to sympathize with him. He's a "hero who still has a wide appeal today." And, while I mentioned at the start of this review that is was Cross and Packer's adaptation of The Odyssey prompted me to undertake this string of reviews, it was my sixteen year old son who initially inspired me to (finally) read Robert Faegel's translation and listen to Sir Ian McKellen narrate the Odyssey. 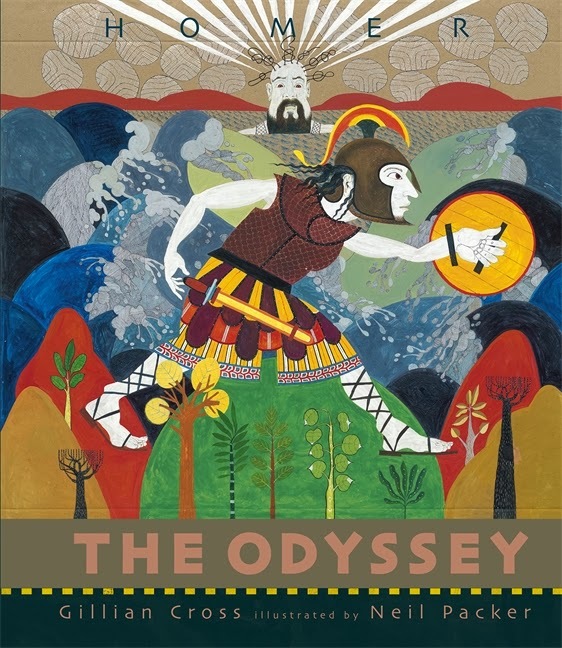 Reading it for his sophomore year English class, my non-fiction-loving, fiction-eschewing son could not stop talking about how much he was enjoying the Odyssey - yet another testament to Homer's enduring talent. I had to know what kind of story would could entertain a reader like my son, a reader whose interests usually fall far from the fantastical. This, in turn, made me begin to take notice of the many adaptations for children. 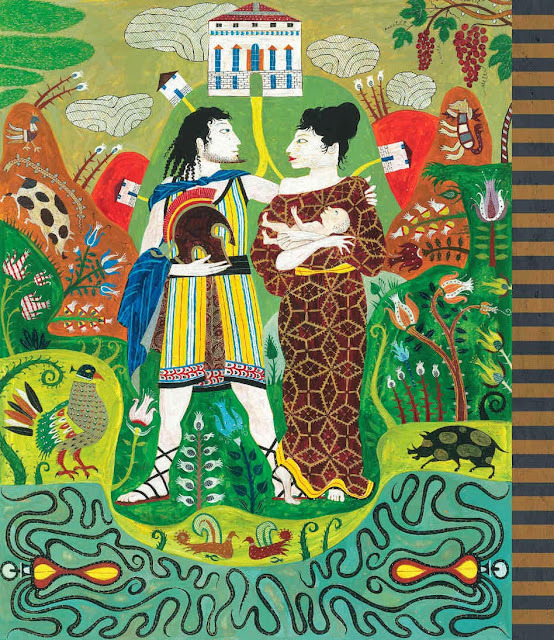 Interestingly enough, I am beginning my week of reviews of adaptations of the Odyssey for children with my review of Cross and Packer's book, the last review I wrote in this series. In a way, this feels appropriate. The adaptations I reviewed all vary greatly in the text and presentation of Homer's story and I think, if I had to pick one of these many books to appeal to the widest audience, I would choose The Odyssey by Gillian Cross and Neil Packer, who spent six years creating the illustrations. 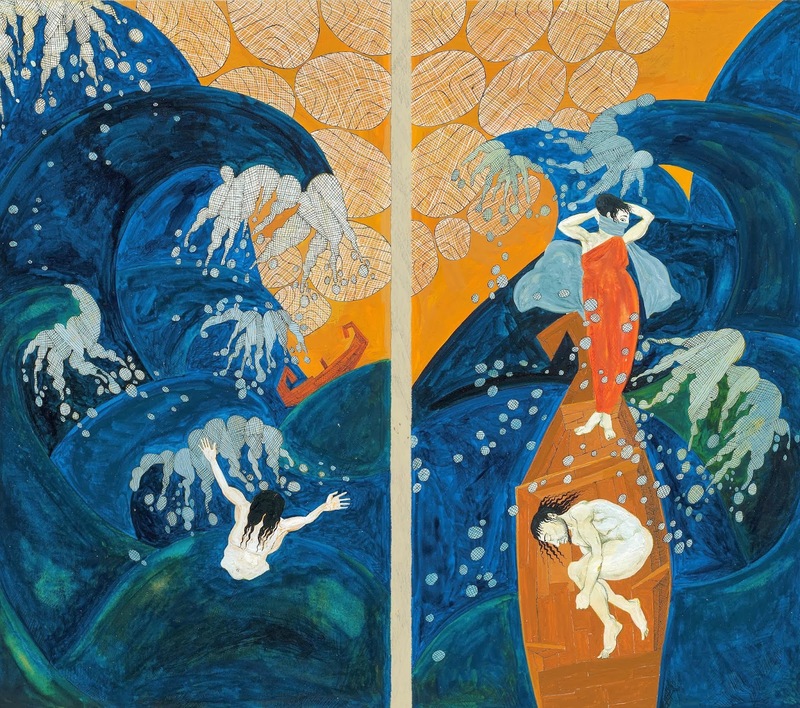 As Neary notes in her story on the book, this version has images that are "stylized, multilayered, richly colored and a little edgy. It seems like a book that might appeal to adults as well as children - a perfect book to read with a child." I couldn't agree more and, ultimately, I think that is how this story, that was once told to roomfuls of people, should be enjoyed. I hope that this review will inspire you to acquaint yourself with Odysseus's story if you aren't already, and consider sharing it with your young readers. Even before Rick Riordan, characters from the Odyssey were common part of our cultural experience, not to mention the use of the word "odyssey" itself. Perhaps because I remain skeptical that most children will read the Odyssey at some point in their education, I think it is even more important to introduce them to this story in a adapted for when they are young, giving them a foundation and context for the many references from the story they will encounter later in life.